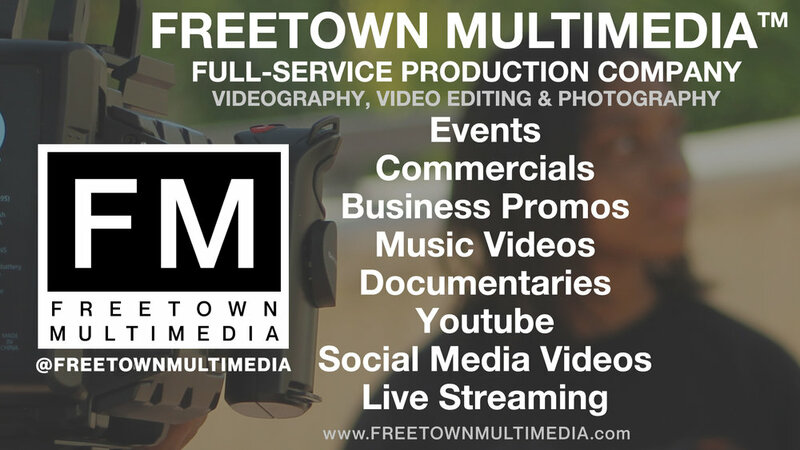 Freetown Multimedia is a full-service video production company offering a wide variety of professional video services at affordable prices. Equipped the latest pro 4k cameras we can direct, shoot, and edit your next business promo video, commercial, event, party, wedding, music video, and much more. We will work tirelessly to the produce the creative content you need to bring your vision to life for the world to see everywhere that content is consumed.